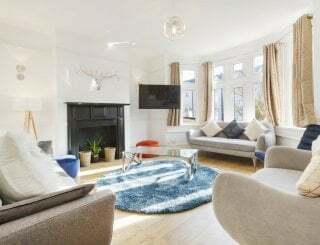 Ebenezer Chapel, Warmley, Bristol, sleeps 5-11 in 5 bedrooms. 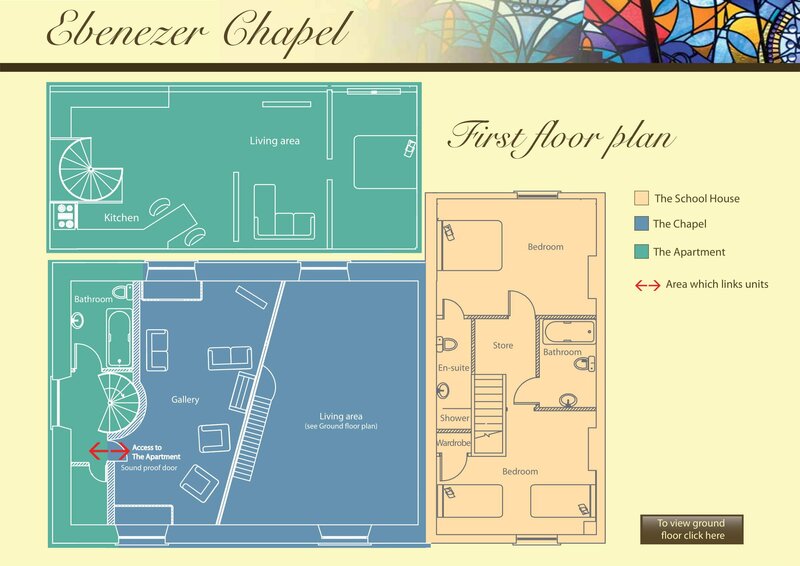 Ebenezer Chapel offers three separate properties that can interconnect, ideal for larger groups, with 3 separate lounges to allow groups to spread out. 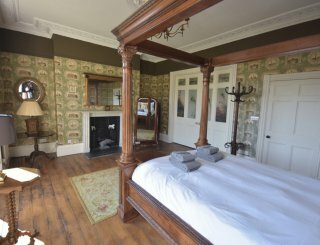 The School House has two bedrooms on the first floor with an en suite servicing the main bedroom, and a separate family bathroom. 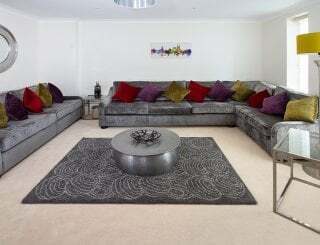 On the ground floor is a lounge, open plan fully integrated kitchen and dining area. 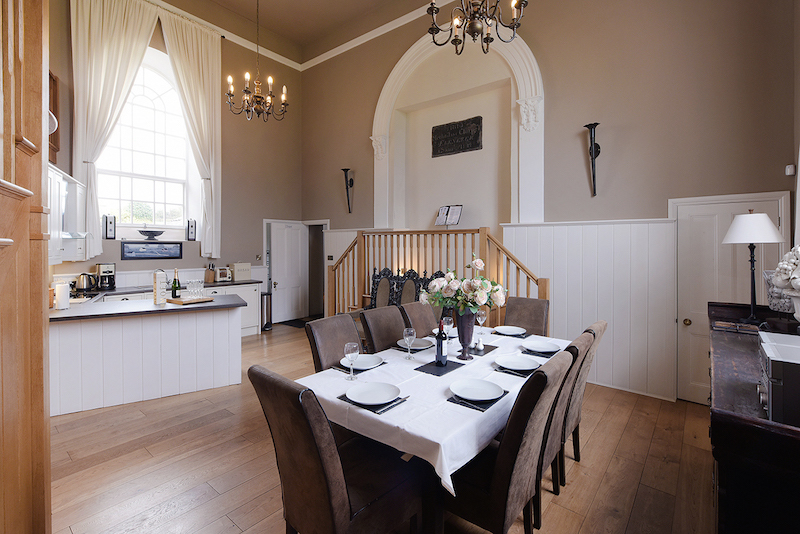 The Chapel Suite enjoys a large lounge/dining area ideal for larger groups. This is on the mezzanine level with arched windows overlooking open fields and the nearby common. 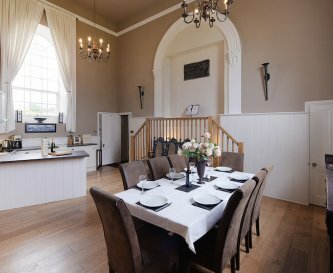 On the ground floor there is an open plan kitchen and dining area with oak balustrading, pulpit and dais. 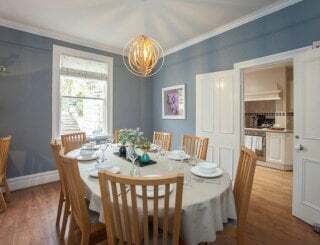 There is oak flooring with underfloor heating and two bedrooms, one double with en suite, one twin and a family bathroom. The Apartment has a lounge, kitchen, family bathroom and a double bedroom which can be arranged as a super king bed or as two single beds. 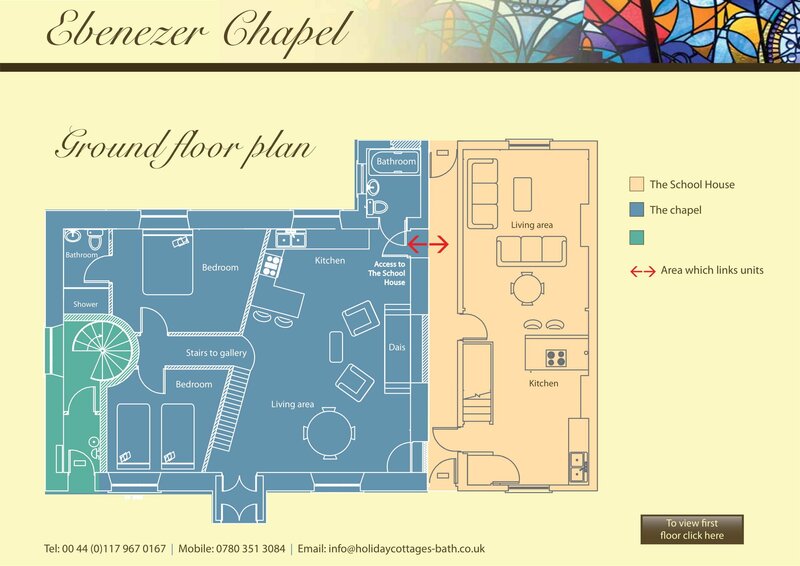 Ebenezer Chapel is a perfect base for hen weekends, family get togethers or socialising with friends. 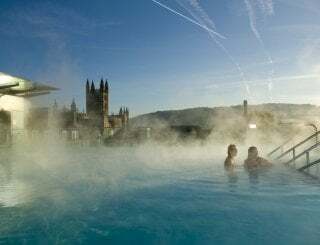 Ebenezer Chapel is ideally situated for visiting the Georgian city of Bath, historic Bristol, picturesque cotswolds or Stonehenge. 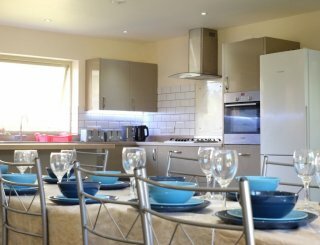 3 fully equipped kitchens including dishwashers and washing machines. All 3 have lounge/dining areas. 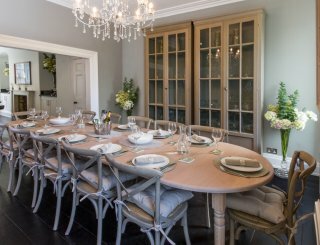 Chapel Suite has the largest dining area where guests can socialise together. 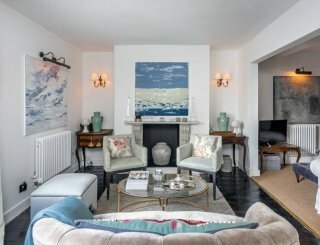 3 living rooms with unique character and all with TVs. TV in each living room. WiFi throughout and phone reception is good. 5 bedrooms. Some have zip link beds. 2 en suite. 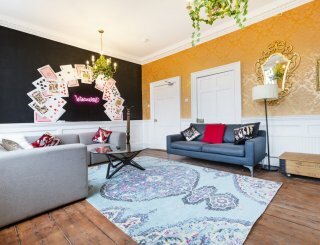 Bed linen and 1 set of towels per guests is included. 3 bathrooms and 2 en suites. 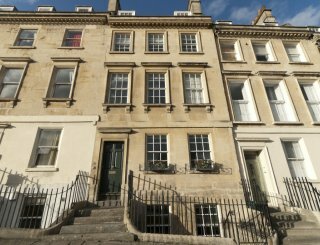 2 bedrooms and a bathroom on the ground floor in Chapel Suite. Travel cot and high chair can be provided but please bring your own bedding. Private parking and a garden overlooking open fields. Private parking for 3 vehicles. Strictly non-smoking, although guests can smoke outside if they wish. 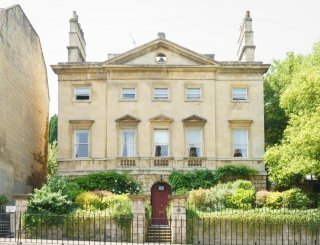 Ebenezer Chapel is ideally situated between the cities of Bath and Bristol. 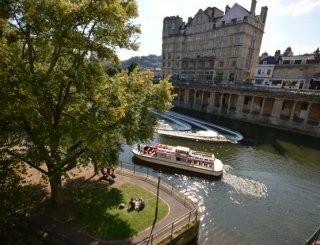 You can reach Bath city centre within 15 minutes and Bristol within 25 minutes. 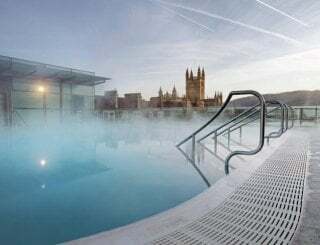 Keynsham is the nearest town which boasts a train station and is located 4 miles away. Tesco Express is just a mile away and Longwell Green retail park is less than 2 miles away. There are many local pubs nearby such as the Holybush, the Rose and Crown, the White Harte and many more. Keynsham train station is 4 miles away. The nearest bus stop is only yards away. Bristol Airport is 16 miles from the property.